Music without limitations or barriers will be successful. This kind of approach and mindset is very positive and it garners the attention of those within range. I am glad to be one of those listeners. 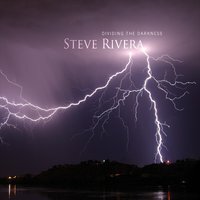 Steve Rivera is one such artist that has earned his place in the genre of new age contemporary music. He accomplished that with his first release titled Dividing The Darkness. 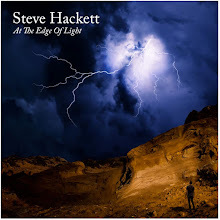 Steve likes to call his music restrained simplicity that is emotionally moving. I don’t think I could have come up with a better phrase to explain what this music is. The piano playing of Mr. Rivera is superlative and his accompaniment with a violin interspersed and weaved so delicately in the tracks gives it another layer grace and outright beauty. Everyone needs to find their way home in some fashion, whether it be a long road trip, a walk in the woods or simply a reference to a soul that needs comfort and a place to feel wanted. Thinking in another way would be when our lives come to an end on this earth and how we need to find our way home. It can mean many different things dependent on who you are and where you are in life’s path. So, it is rather appropriate that the album opens up along those lines with “My Way Home (feat. Charlie Bisharat).” The lead off track is crucial in setting a precedence for the entire album and that is certainly accomplished with this lovely instrumental. “Skyward” caught my ear and engaged my senses. The rhythm of the piano is one of consistency and a constant unraveling varying degrees of the human condition found in the music. The changing tempos and the additional violin and background vocals makes it sound as if it was delivered right from heaven’s gate. The music gave me a much-needed pause and touched my soul while initiating a healing I desperately needed. Tracks like this flip a switch in me and I can hear and feel the joy and sadness of what the music is saying. This music is so beautiful it was like a transference of consciousness, taking what the artist offered me while listening. “The Ancient Road” set my mind wandering about the history of mankind and what would happen if there was such a road that led to a path where all things live in complete harmony and joy. The piano leads you down a path that becomes your own reality via the music. This is a process I have enjoyed through music my entire life however when it is instrumental music it makes that much more my own. This is one of the longer tracks on the album and I appreciated the layers of sounds, like it a woven tapestry just for me. I find it no coincidence that I preferred the longer tracks. This music is so pleasant that you don’t want it to stop. The prolific fingers of the artist are charged with all sorts of energy and emotion that can be truly appreciated by anyone wishing an auditory therapeutic process. Dividing The Darkness is just that, if there is any darkness around you either on physical or spiritual plane then this music will divide it and separate it with its everlasting light of hope and faith. Once again it felt like a spiritual experience that I needed to have and it was delivered so thank you Steve Rivera.